Welcome to our Guide for Information for Praills Ltd. (“Praills Opticians”) as required by the Freedom of Information Act 2000. This is a complete guide to the information routinely made available to the public by Praills Ltd. It is a description of the information about our NHS services that we make publicly available. It will be reviewed at regular intervals. The publications are free unless otherwise indicated. or can be printed from www.praills.com. The Freedom of Information Act 2000 is designed to promote openness and accountability amongst all organisations that receive public money. Like all NHS contractors, since 1 January 2005 there has been a FOI obligation on opticians’ and optometrists’ practices to respond to requests about the NHS related information that it holds, and a right of access to that information has been established in law. These rights are subject to some exemptions that have to be taken into consideration before releasing information. In addition to accessing the information identified in this guide, you are entitled to request information about our NHS services under the NHS Openness Code 1995. Under the Data Protection Act 1998, you are also entitled to access your clinical records or any other personal information held about you and you can contact any practice where your records are held to do this. Praills Limited is an independent opticians in Fareham, family run since 1920, providing local community eyecare. 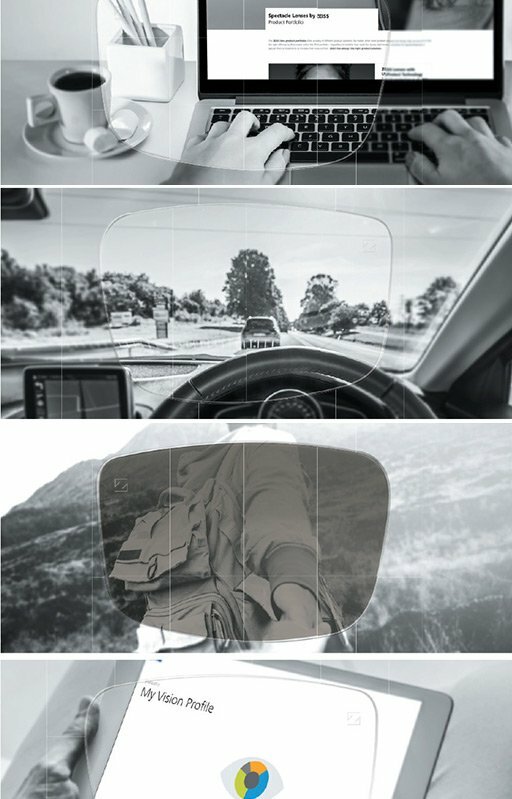 Supplying Private and NHS Eye examinations, Spectacles frames and lenses, Contact Lenses, Sunglasses, DVLA Visual Field testing for Group 1 Drivers and other optical accessories. Details of the opticians and optometrists employed in our practice can be obtained by contacting that practice directly. Alternatively, details of all opticians and optometrists registered in the UK are available from the General Optical Council Tel: 0207 580 3898. Praills Opticians provide free NHS eye tests for those who are eligible. You may also be entitled to vouchers that can be used against the purchase of glasses or contact lenses if you require them. To find out if you are eligible for assistance please click here or ask for details in our practice. Appointments for eye tests can be booked over the phone, or by dropping into the practice. 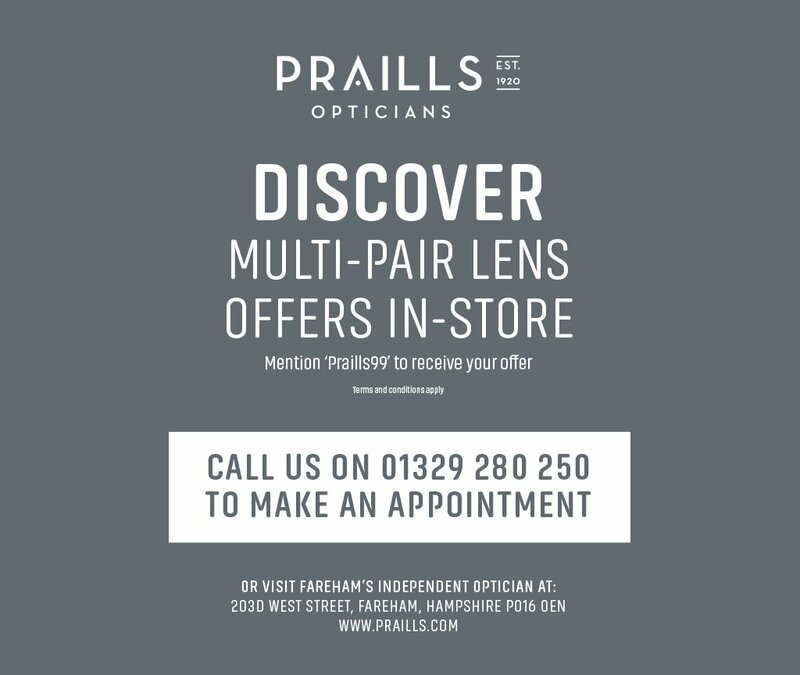 Praills Opticians, 203d West Street, Fareham, Hampshire, 01329 280250. PO16 0EN, or contact us from our website. Opening times are Monday to Thursday 8.45 to 17.15, Friday 8.30 to 17.15, Saturday 8.45 to 13.00. For every eye test performed on behalf of the NHS the opticians practice receives a set fee. This includes a contribution towards optometrists and staff salaries, equipment costs and other store overheads. If you are not eligible for the NHS eye test, please contact us for details of our current private charges [and offers]. Further information about Praills Limited (rather than about the opticians in its employ) can be obtained from Companies House (www.companieshouse.gov.uk) There may be a fee payable for the production of such information by Companies House which will be advised at the time of enquiry. Such information falls outside the publication scheme, as it is not, in itself, public authority information. Information about optical and ocular conditions, eye tests, glasses, and contact lenses, can be found on our website. If you have a complaint about any of our products or services, we recommended that you first discuss any problems with the manager at the practice. If the matter cannot be resolved in this way or you are unsatisfied with the response you receive please contact The Customer Services, on 01329 280250. A full copy of our complaints policy is available on request and can be found in Class 6. We will publish any changes we make to this guide or relevant information. We will also publish any proposed changes or additions to publications already available. For the most part, we will only charge for hard copies, or copies onto media. Charges are as follows and will be reviewed regularly. Multiple hard copies, or archived copies will attract a charge for photocopying, retrieval and postage. We will inform you of the cost of these charges that will have to be paid in advance. E-mail will be free of charge.